Median condo prices in Edgewater rose steadily for some time (despite a brief downturn in 2016), before topping out at a high around $220,000 as of 2018. Since then, we've seen a drop in prices, down to roughly $200K at the beginning of 2019. However, given the seasonality of the market, and other market factors we'll explore below, we may see condo prices resume their upward climb soon enough. Currently, inventory in Edgewater sits between two and three months, making it fairly balanced condo market that tips in favor of the seller. We believe that this will result in steady growth and higher sale prices. The wait time for the average condo in Edgewater held steady, between 80 and 90 days, throughout much of 2015 and 2016. In 2017, however, average market times accelerated rapidly, and as of spring 2019, the average condo now spends slightly more than two months on the market, on average. The median sales price for a single-family home in Edgewater saw steadfast growth for the better part of three years, with the sharpest increase - to roughly $800k - happening in the last few months of 2016. That growth leveled off significantly in 2017, and that trend continued into 2018. As of the time of this writing in spring 2019, prices have recently crossed the $700K threshold for the first time in more than a year. The months supply of inventory for single-family homes sat consistently between four and five months for the better part of three years, making the Edgewater market fairly balanced, and a good situation for both seller and buyer! In the last few months of 2018 and into 2019, however, we've seen months supply of inventory decline sharply, indicating that better conditions for sellers may be on the horizon. The average single-family home felt a sharp decline in average market time between 2014 and 2015, accelerating from 80 days to about 40 over that period. 2015 and 2016 saw average market time begin to climb, reaching a high near 110 days in mid-2017. We saw a sharp acceleration again in mid-2018. Since then, wait times have slowed down once again, with the average home now spending between 100-110 days on the market. Ready To Purchase an Edgewater Home? 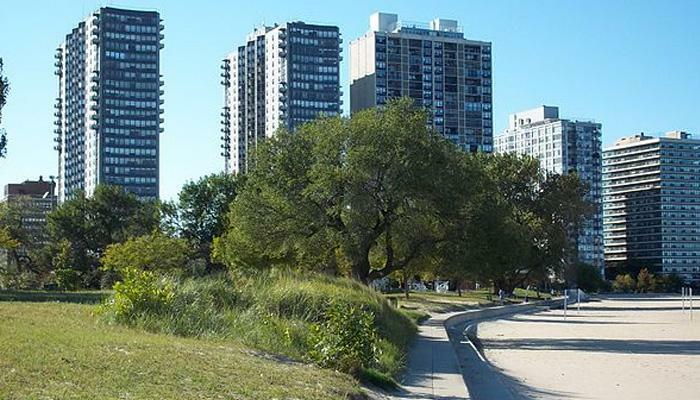 When you're ready to live in a historic neighborhood with lots of Chicago charm, the Real Group team would love to help you find a new home in Edgewater! To begin the process and explore the neighborhood even more, drop us a line!